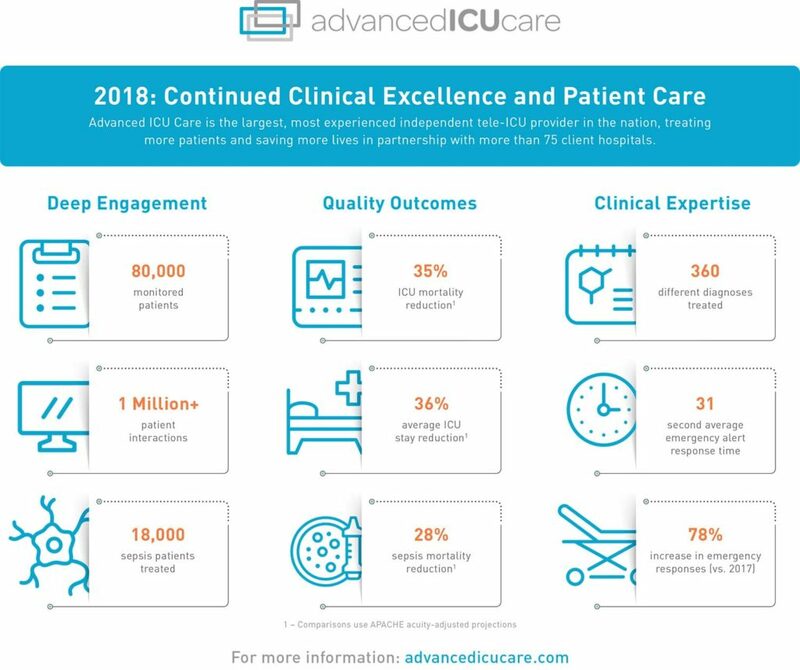 Advanced ICU Care, the nation’s leading provider of high-acuity telemedicine services, today unveiled 2018 clinical performance data spotlighting care team accomplishments and company leadership achieved in collaboration with the organization’s hospital partners. The statistics represent the consistent quality outcomes and scale of clinical expertise to support multidisciplinary critical care teams. 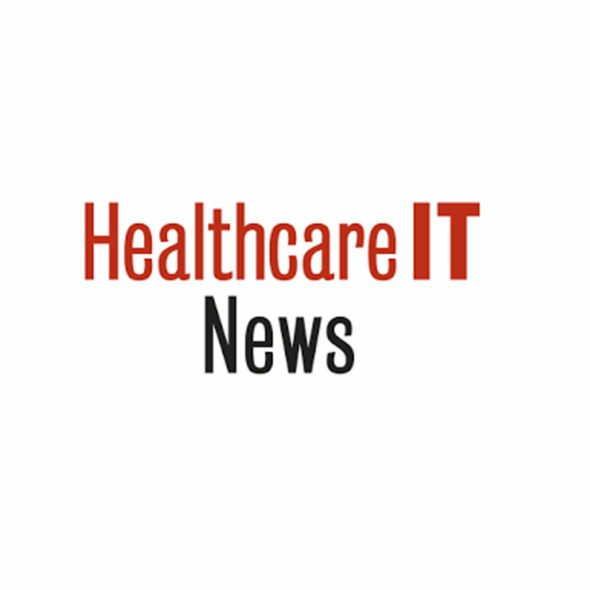 The data also highlights the growing adoption of Advanced ICU Care’s services. 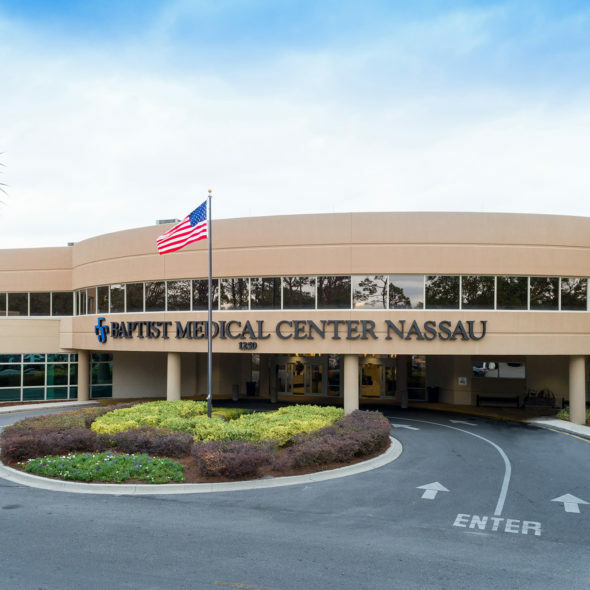 Over the course of its 13-year history, Advanced ICU Care’s collaborative care model has saved more lives than any other independent tele-ICU provider. 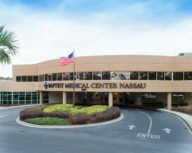 The company’s intensivist-led care teams serve patients and hospital clients on a 24x7x365 basis from nine dedicated care operation centers, helping hospitals improve patient outcomes while offering elevated levels of support for both patients and medical staff. To view our 2018: A Year in Tele-ICU Results infographic, please click here. 1 Comparisons use APACHE acuity-adjusted predictions.